 Description One of the first Amtrak Dining Car Menus. 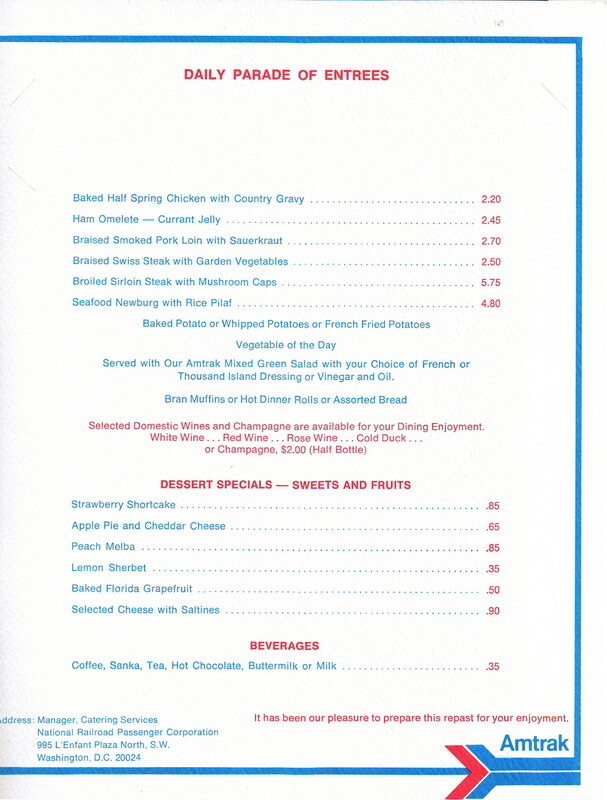 Date code of D1-4-72 dates this menu to April of 1972. 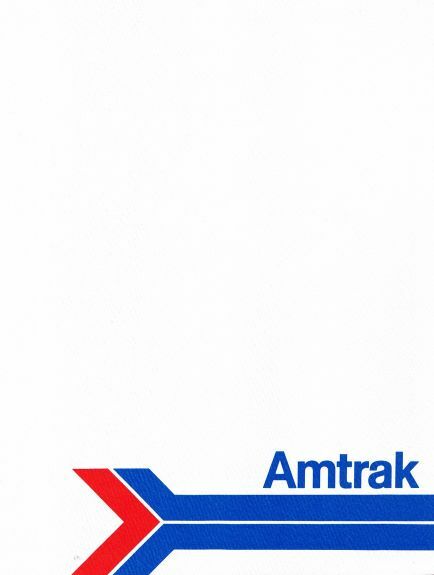 The cover has the distinctive blunt Arrow Amtrak Logo. Dinner on an Amtrak train was much different then what you find today on a Superliner or Combo Diner-Lounge. 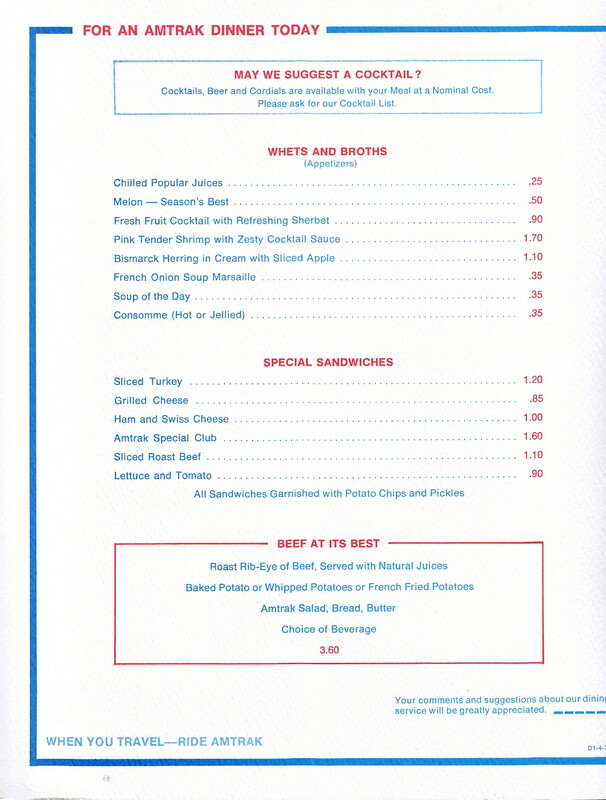 A Whets and Broths (Appetizers and Soups) section lead the menu, with other sections for sandwiches, the Daily Parade of Entrees and dessert specials - sweets and fruits. The Beef at its Best special was a Rib-Eye with potato, Amtrak Salad, Bread, Butter and Choice of Beverage was only $3.60.